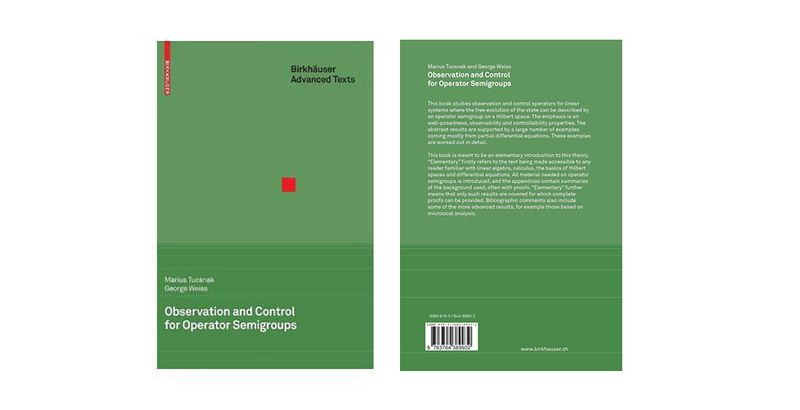 This book studies observation and control operators for linear systems where the free evolution of the state can be described by an operator semigroup on a Hilbert space. The emphasis is on well-posedness, observability and controllability properties. The abstract results are supported by a large number of examples coming mostly from partial differential equations. These examples are worked out in detail. This book is meant to be an elementary introduction in this theory. The first meaning of “elementary” is that the text is aimed to be accessible to any reader familiar with linear algebra, calculus, the basics of Hilbert spaces and differential equations. We introduce everything needed on operator semigroups and most of the background used is summarized in the Appendices, often with proofs. The second meaning of “elementary” is that we only cover results for which we can provide complete proofs. In our bibliographic comments we mention some of the more advanced results, for example those based on microlocal analysis.